3P XLR Jack to RCA Jack Adapter connects 3P XLR plug to an RCA plug. All metal construction with nickel-plated connectors. 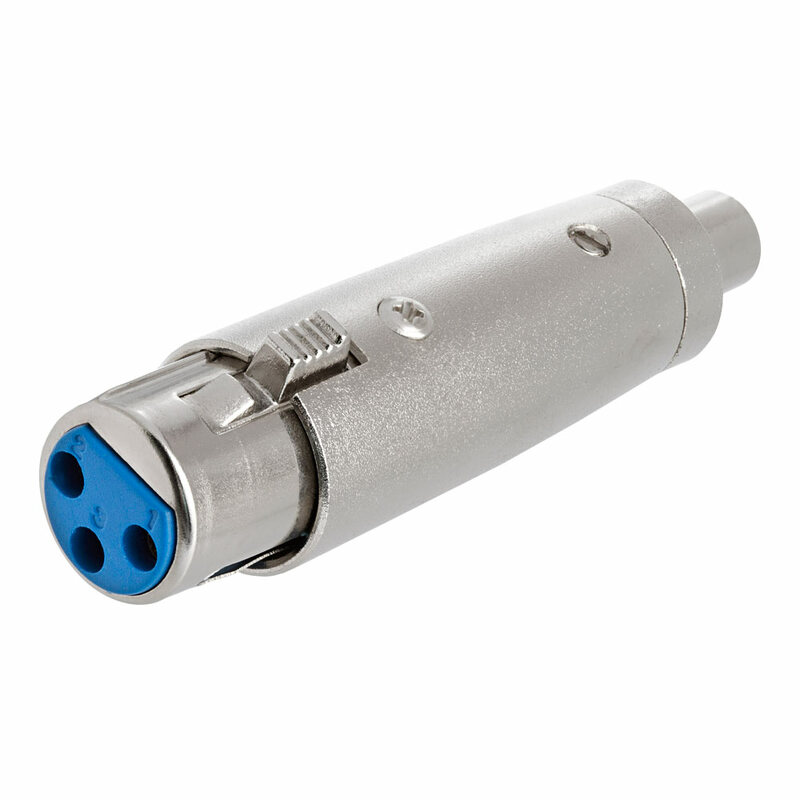 This adapter is frequently used by musicians in a studio as well as during live performance. 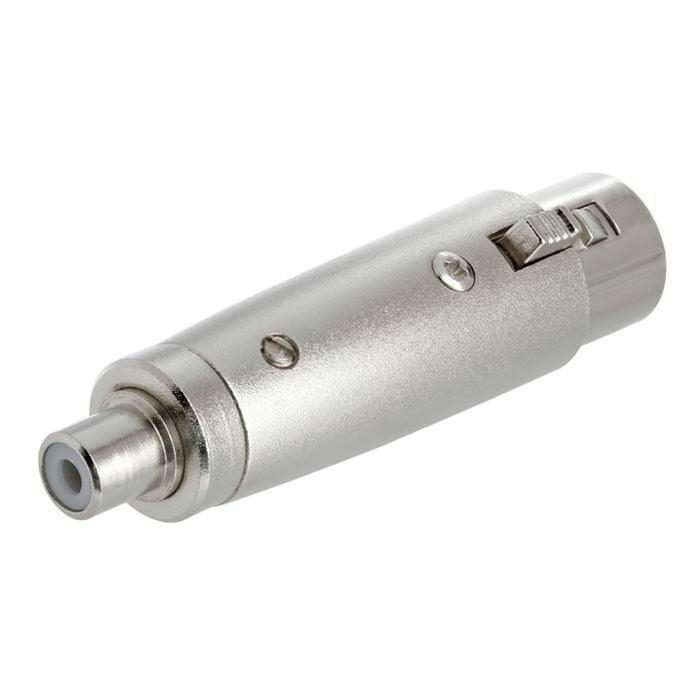 It is Equipped with chuck type strain relief for secure clamping of all cables.